Take a measured approach to decorating smaller kitchens and see how a little design strategy can add more flair and function to a room of any size. If you’re designing a sprawling kitchen in Winchester, Needham, or Cohasset, you probably have plenty of room for a six-burner stove and a 36-inch French door refrigerator. 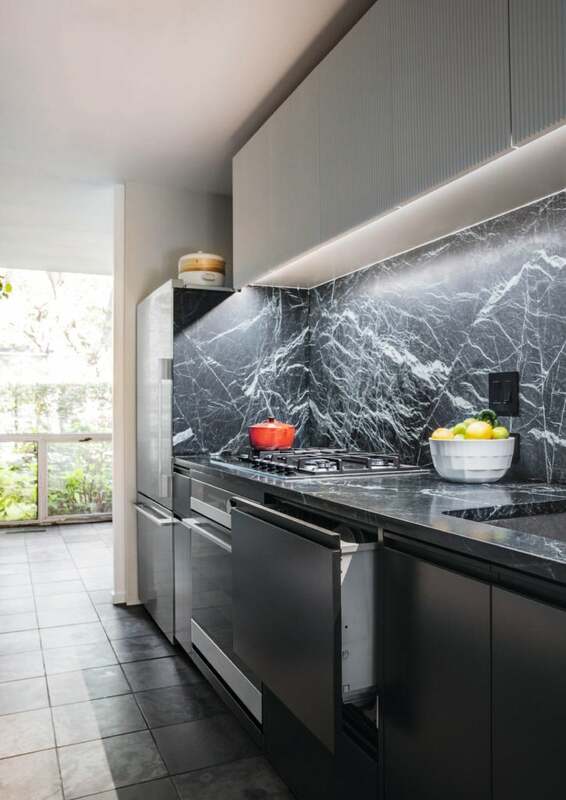 But if you’re creating a compact kitchen in a South End townhouse or a Cambridge condo, you may not have space for suburban-size appliances. Fortunately, having a smaller urban kitchen doesn’t require you to sacrifice the amenities you’d have in the ’burbs. Homeowners with smaller kitchens now have more options than ever before, thanks to innovative designs that pack big-kitchen amenities into slimmer, smaller appliances—all of which blend seamlessly into condensed spaces. Changes in living preferences are driving compact appliance design. Although plenty of people choose to live in large suburban homes, the advantages of urban life are drawing droves of people to cities. With thoughtful planning, you can create a compact kitchen that delivers the upscale features and top-quality functionality found in larger spaces. 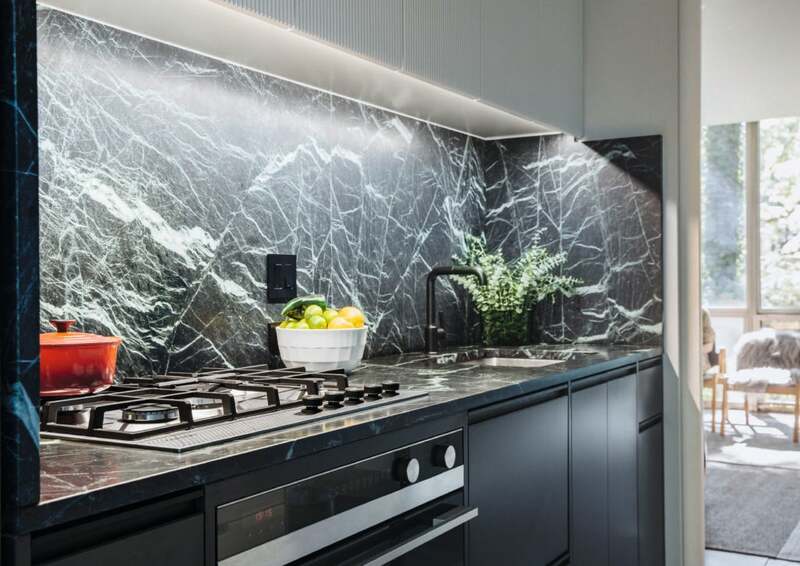 “Done well, a compact kitchen with a smart layout and the right appliances can be the centerpiece of your home,” Moody says. 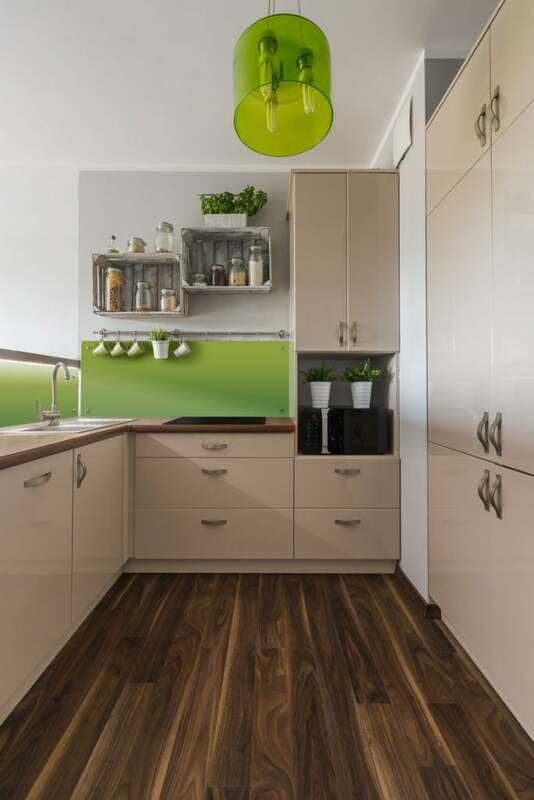 Here are some ways to design a small kitchen with big amenities. Before you start designing your kitchen, think carefully about what you really need—and don’t need—in your kitchen, and make choices that reflect those priorities. Recognizing the need for compact appliances with premium features, designers at appliance manufacturers such as Fisher & Paykel have created products with innovative shapes and sizes that fit well into smaller kitchens. For example, the Fisher & Paykel DishDrawer Dishwasher offers a compact alternative to standard dishwashers. The DishDrawer, which slides in and out for easy loading, is especially convenient in galley kitchens, where an open dishwasher door can stop traffic. Other creative space-savers include drawer-style CoolDrawer refrigerator/freezers and Integrated Column freezers and refrigerators in widths as narrow as 18 inches (freezer) and 24 inches (refrigerator). 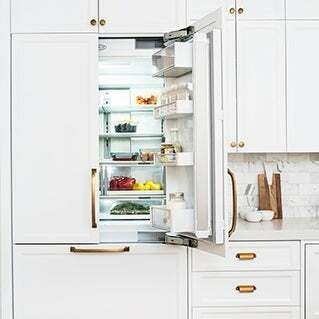 “I love the tall, narrow built-in fridges because you get a lot of fridge space without overwhelming a small kitchen like a larger fridge does,” says Emily Condon, principal of Emily Condon Design in Boston. Fisher & Paykel also offers a compact washer and dryer designed as a matching pair that can be stacked or installed side to side. Although they’re smaller than typical washer/dryers, they provide big-machine advantages such as a 30-minute quick washing cycle and an autosensing function that stops the dryer cycle when your clothes are dry. Just because your kitchen is small doesn’t mean it has to be white. “I prefer lighter cabinets and counters for a smaller kitchen space so it doesn’t feel so enclosed,” Condon says. “But there are so many colors that will make a space feel bright and clean without being stark white.” For example, she likes minimally saturated shades of taupe, blue, and gray, as well as silver. If you love bright color, go ahead and use it. “There’s no reason to shy away from color in a small kitchen,” Sayeed says. “Choose colors that make you smile.” She loves to use jewel tones such as emerald or sapphire in backsplashes or the inside walls of cabinets with glass doors. In a small kitchen, having solid doors on upper cabinets can make a space feel even smaller than it is. “Open shelves for storage instead of upper cabinets can make a space feel more open but also provide storage and display,” Condon says. When using cabinets, glass-front doors offer visual openness. Be sure to make the most of your vertical space as well. Run upper cabinets all the way to the ceiling, even if it means occasionally having to reach for a stepladder. “It will make ceilings seem taller and will add value to the kitchen,” Condon says. Small kitchens often lack natural light. “Kitchens without windows can be depressing, so pump up the brightness with a great selection of lights,” Sayeed suggests. Combining recessed ceiling lights, task lighting, decorative lighting, and accent lights inside cabinets and in kick spaces can help a small space feel bigger. 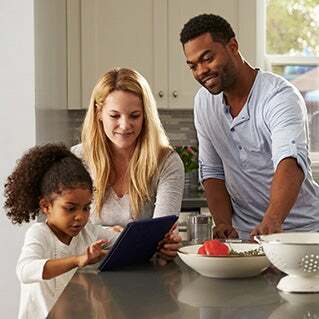 To learn more about Fisher & Paykel appliances, click here.